Essential to your homily is audibility, that is, your words actually being heard. If you listeners can’t decode your words there is no communication. That is pretty obvious. The trouble is that a homilist does not know if he is being heard unless he gets feedback from the congregation. So a first tip is to ask people from time to time. 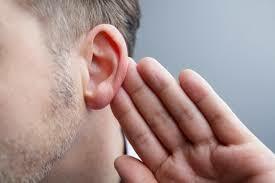 You can specifically ask someone before Mass to let you know after Mass how well he or she could hear you. There is not a great deal to be said about audibility, but we can distinguish between external and internal barriers to being heard. Many churches have poor acoustics. Some older churches were built to project the human voice without a sound system. In some of these, when the homilist’s words are amplified, they turn into mush due to the echoing and so overlapping of both the amplified and unamplified words. Or maybe there is a good sound system in the church but it is not properly balanced. You may need to tweak the system yourself or even hire an acoustician to improve audibility. There can also be environmental factors that make your words not understandable. An example is loud blowers for heating and cooling. Perhaps these could be turned off during the readings and homily and then returned to service after. Clanging pipes, passing trains, and sirens can also drown out your words. In these cases the best thing might be to pause briefly. Crying babies can also make you inaudible to the people around the baby. But to avoid embarrassing the parents and discouraging people from bringing their children to church I recommend never saying a word about this. Babies should be welcome at Mass and should be able to squawk as much as they please. Some speakers make a common mistake. They begin a sentence with sufficient volume and articulation and then drop their voices at the end of sentences, leaving their listeners straining. If you do this, your audience has to reconstruct what you said from the parts they heard. If this happens too often, your listeners will give up listening. One way you can detect this problem is by recording your own homily as you practice it. Not only will you be able to hear if you are dropping the ends of lines, you might also find other problems like poor articulation. It should be a given that your homily is planned, so you will be reading a text or speaking from an outline, or you have memorized what you intend to say. A homilists should avoid “obiter dicta”, that is adding on spontaneous commentaries to his own text, which may have just occurred to him, often said in a quick lower voice which is largely inaudible. Thăt wé | măy bĕ máde | wórthy | ŏf thĕ prómĭsĕs | ŏf Chríst. Then I would practice speaking it that way. A third internal barrier to audibility is inadequate volume. Some speakers are blessed with big, booming voices. Others have to practice cranking up their own volume and projecting their voices so that it fills the whole space. Again, enlist members of the congregation you trust and who are honest with you to find out if they can understand the words you speak.